IBYDT Jewellery - Original, One-of-a-Kind pieces of Jewellery. Made from a combination and choice of semi-precious stones, freshwater pearls, swarovski crystals, swarovski pearls, hand-made clay beads, glass and sterling silver. 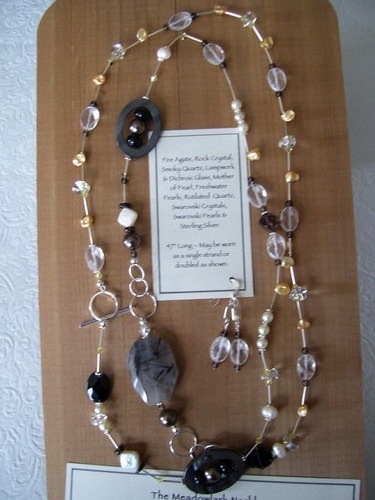 The Meadowlark Necklace shown here was designed especially for the 2009 Meadowlark Festival. 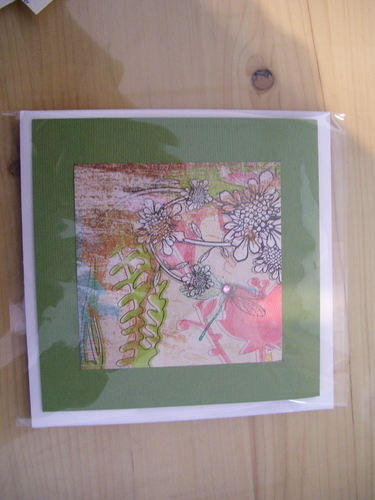 Unique and One-of-a-Kind Art Cards for Birthdays, Thank You, or "just because".